One of the latest additions to the booming Chengdu craft beer scene is Wild West, an American-style small batch brewery and tap house bringing a range of classic and modern American craft beer styles to China’s south-west. In today’s blog were going to examine briefly what makes wild west stand out amongst local and international breweries alike, and learn a little bit about brewmaster Scott Hunt’s vision in establishing this unique brewery. Over the last 15 years the extensive growth of the craft beer trend across the globe has reached astonishing proportions. From IPAs through to craft lagers and brown ales, craft brewing has become an important part of the drinking scene and a passion for many professional and hobby brewers. Like many professional craft brewers, Scott Hunt began his journey as a hobbyist drawn further and further into the world of craft beer. 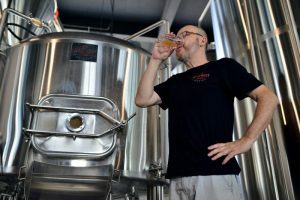 While avidly pursuing his hobby in his home state of Utah, Scott paired up with his wife Carol – a Chengdu native, and began drawing up plans for a state-of-the-art macro brewery in Chengdu’s region of Qionglai. With world renowned spicy cuisine and leisurely lifestyle, it’s no wonder the craft beer quickly took a foothold in south-west China is beautiful region of Sichuan. Over the past five years the emergence of hundreds of brewpubs and craft beer bars have created an intense interest for dry hopped, fragrant IPAs, delicate pilsners and malty dark ales. 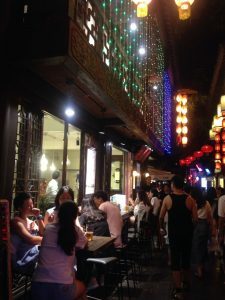 And due to the region’s history of booming agriculture and clean water, Chengdu is poised to become the new hub in Asia’s exploding craft beer scene.